Bug bombs are ineffective at dealing with German cockroaches indoors. Credit: Matt Bertone. Bug-bomb chemicals fail to reach places where cockroaches congregate the most—on the underside of surfaces and inside cabinets, NC State researchers say. 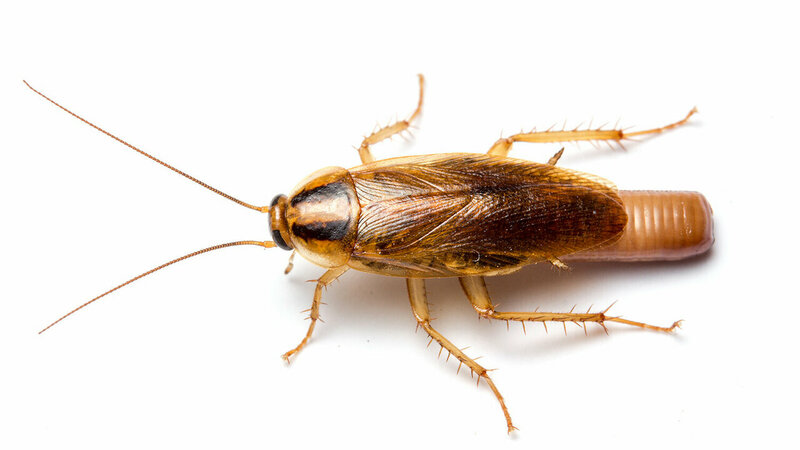 Besides leaving behind numerous cockroaches, bug bombs also leave behind nasty toxic residue in the middle of floors and countertops, areas cockroaches generally avoid but which are heavily used by humans and pets. "There's been a general assumption that bug bombs work to eliminate cockroaches indoors, but no one had conducted a formal assessment of their efficacy and any exposure risks," said Zachary DeVries, an NC State postdoctoral researcher and the lead author of the study, published in BMC Public Health. "We've done that simultaneously in this study." "All the fogger products contained pyrethroids, a class of fast-acting insecticides, and some contained piperonyl butoxide, a chemical that prevents roaches from metabolizing, or breaking down, the insecticide," said Coby Schal, Blanton J. Whitmire Distinguished Professor of Entomology at NC State and senior author of the paper. After gauging estimates of cockroach populations in 20 homes, the researchers set off the bug bombs, following the labels' instructions—and U.S. Environmental Protection Agency guidelines on preparing the homes for fogger release—to the letter. "The bug-bomb products did absolutely nothing to control cockroach populations in these homes," DeVries said. To further test the effectiveness of bug bombs, the researchers placed both roaches raised in the lab and roaches captured in the homes into greased cages—making them inescapable—and set the cages on the floor and in upper cabinets of the studied homes during the deployment of the bug bombs. "The lab roaches, which are not hardy, had high mortality, as expected," DeVries said. "The roaches captured in the homes and then brought back, however, had far lower mortality rates than you would expect from direct exposure to bug bombs, confirming the ineffectiveness of these products when used for German cockroach control." "Baseline levels of insecticides in these homes makes sense, because residents with moderate to severe cockroach infestations are likely to use insecticides to attempt to eliminate roaches," DeVries said. "However, what was most disconcerting was that these swabs were collected from the middle of floors and kitchen surfaces, locations where roaches don't generally congregate." "Bug bombs are not killing cockroaches; they're putting pesticides in places where the cockroaches aren't; they're not putting pesticides in places where cockroaches are and they're increasing pesticide levels in the home," DeVries said. "In a cost-benefit analysis, you're getting all costs and no benefits." "This is of particular concern in low-income communities, where bug bombs are frequently used because professional pest control may be too expensive," Schal added.